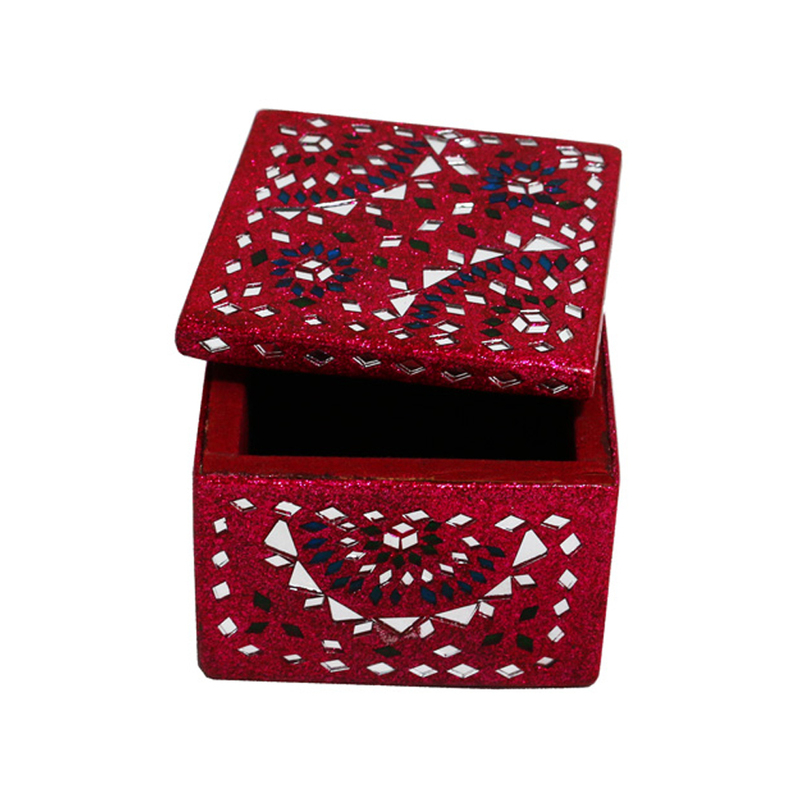 Lac designer's beautiful jewellery box to store your ornaments and trinkets. 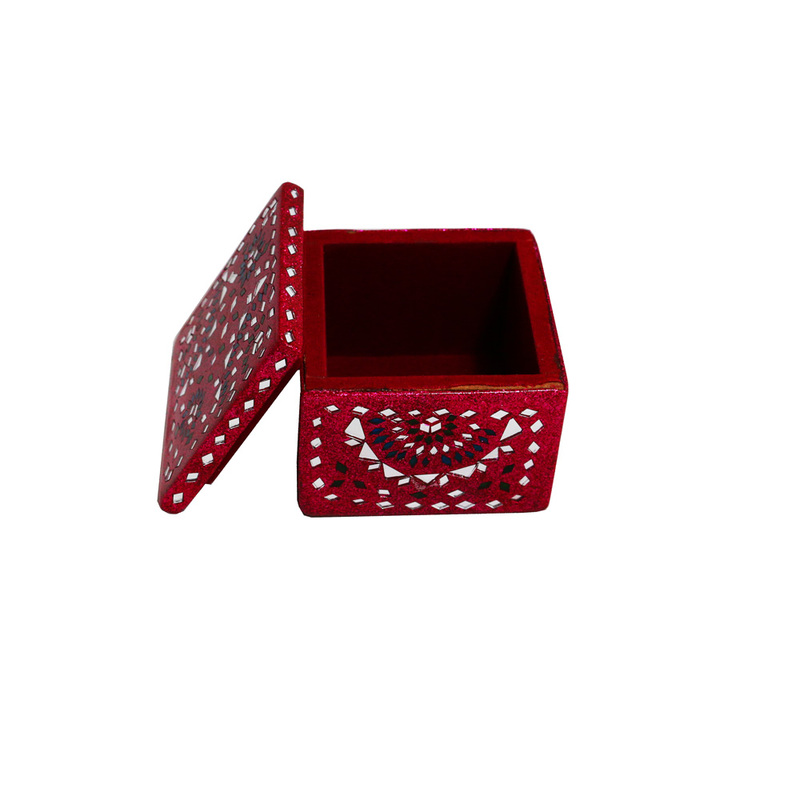 Minutely made, this Hand Painted Square Box from Lac Designer is the perfect buddy for all of your knickknacks and trimmings. Produced using predominant MDF Read More..wood, it arrives in a delightful red-shaded base highlighted with elaborate botanical delineation encased inside differentiating pinkish white-hued outskirts. Show Less..